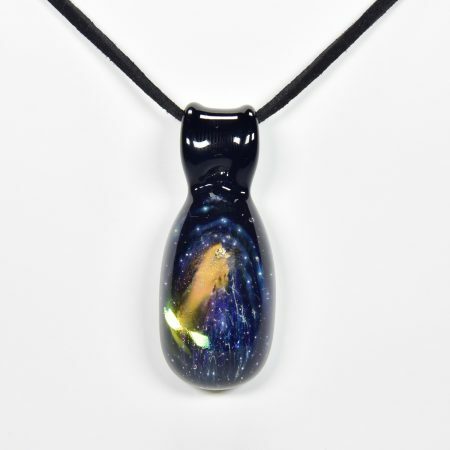 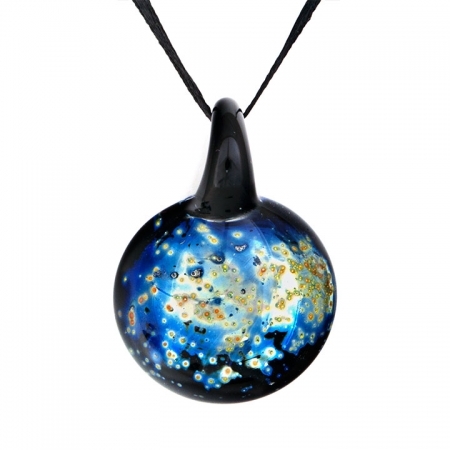 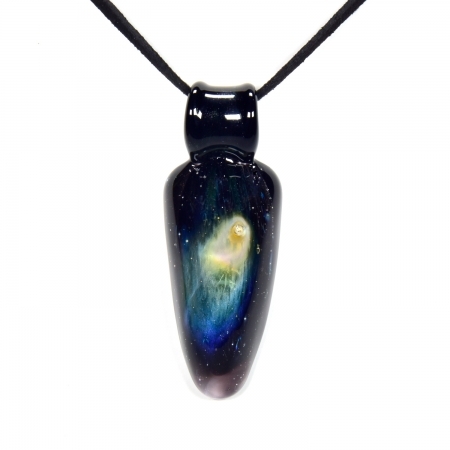 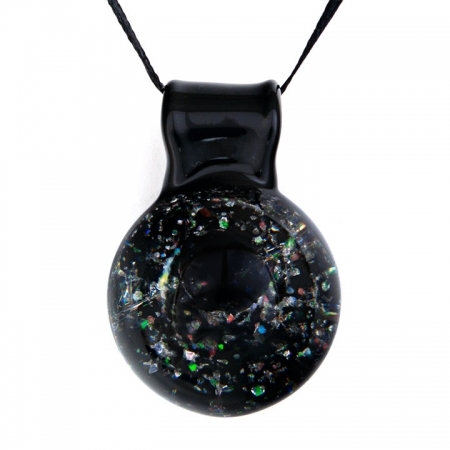 Pendants are made by adding 99.99% pure gold, silver, platinum and opal gemstones to hot Borosilicate (hard) glass. 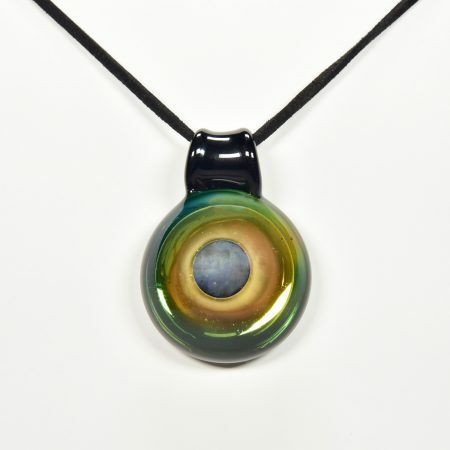 At just the right temperature these precious metals transform into a gas resulting in bright and vibrant colors. 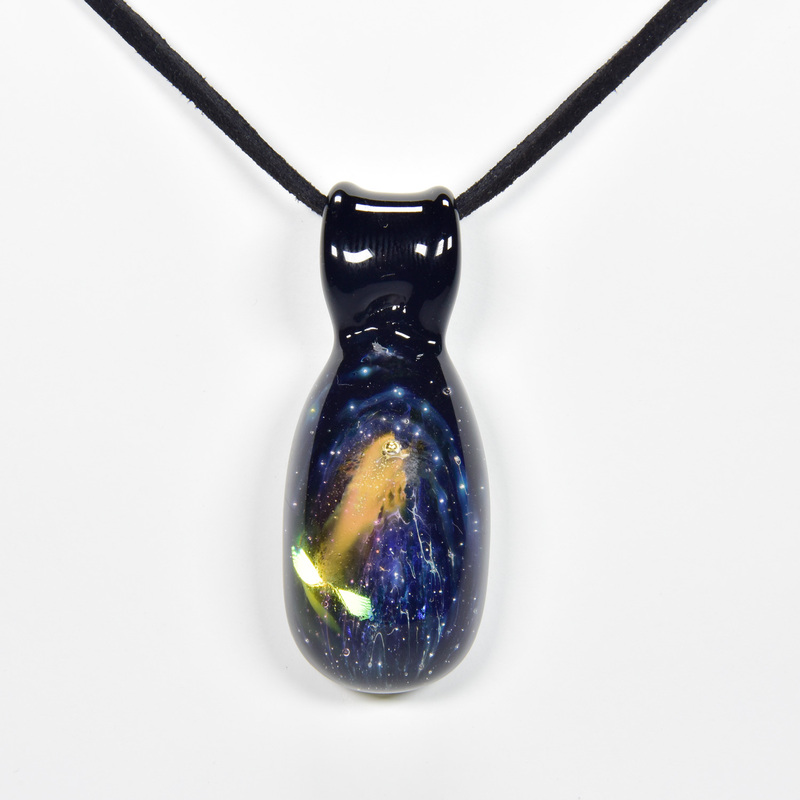 This pendant will be a similar looking but not this actual one.